Below are all handicap times for events in 2014. 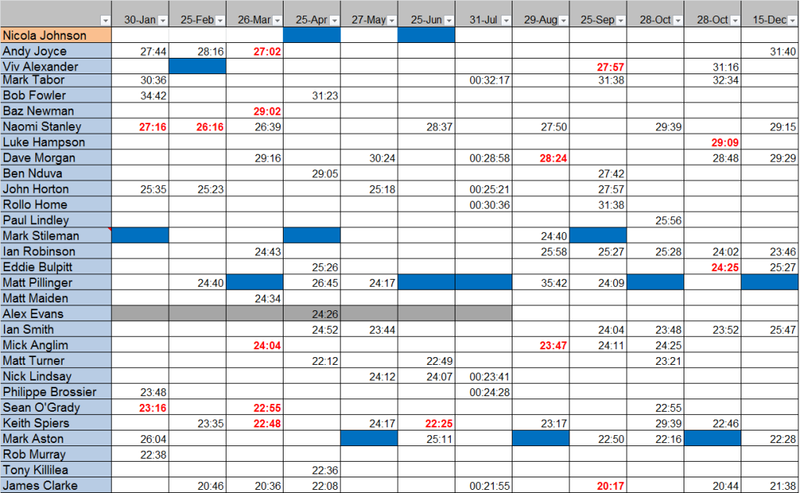 Red and bold indicates a PB and a blue block indicates who was the timer for that event. Unfortunately we don’t hold details of the timer prior to January 2014, but my memory suggests it was usually Mick Anglim.